25 cadets have swapped the more traditional career path of university for a life on the sea as they set sail on their dream career working as an officer on-board luxury superyachts. 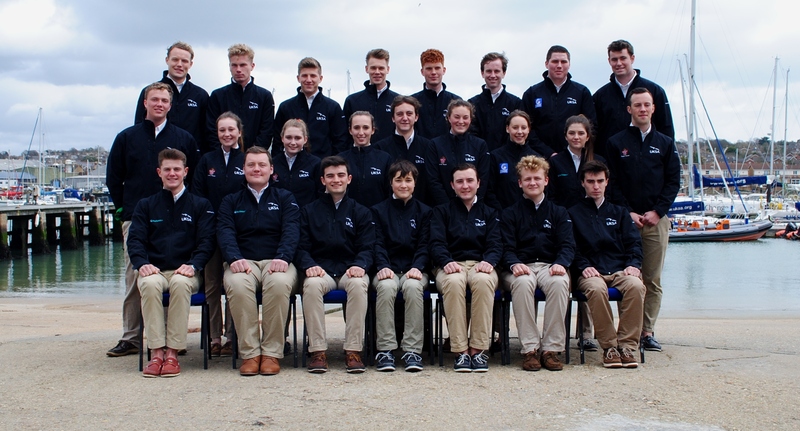 The latest cohort of cadets are currently on phase one of the Professional Yacht Cadetship (PYC) at leading maritime training provider and youth charity UKSA, on the Isle of Wight. They began their training in October and have just graduated from the first phase of the course. Several of the students have received funding for their training thanks to the support of Trinity House; the Royal Merchant Navy Education Foundation; Seafarers UK or the Noel Lister Memorial Fund. As a real alternative to university, the PYC combines study sessions and sea phase training to prepare the cadets for a life as a deckhand, whilst training for a long-term career on superyachts. Whilst working in the industry, students can typically earn €2,000 a month tax free excluding tips. If sensible, students can graduate debt free and sail into a professional career. The course also includes a Foundation Degree in Operational Yacht Science delivered in conjunction with Falmouth MarineSchool and validated by the University of Plymouth. With the Foundation Degree recently being granted full-time status, it can now be applied for through UCAS, plus successful cadets will be able to apply for student loans to assist them – as well as taking advantage of all the other associated benefits that full-time students enjoy. The cadets will be starting employment as entry-level deckhands on board 24 metre plus yachts as they embark on phase two of the sandwich course. Phases three and five are spent training at UKSA, with more time spent in the industry during phase four. The application and selection process is currently underway for the October 2017 intake. For further information on this year’s intake or future training visit call (01983) 203038.